This is extremely gloomy music, but an absolutely brilliant album. I first heard it in the 80s. It was the kind of thing I always listened to at the end of the day, when you're a bit pissed and in bed and have probably smoked a bit more weed than you should have done. It's such a powerful record. It's got so many different moods in it and it takes you from melancholy to sheer triumph, in a way. The journey along the way, and the performance of Mark Hollis, is so moving, and I think the other musicians on board have great empathy for that and it all fits into place. It really does sound like they were all sat in the studio and said okay, we're all really good at this, let's do something that makes that obvious. And I think it does. I knew Ed Hollis, Mark Hollis's brother, because he came in and produced 'Love Song' for The Damned. And of course we knew him because he was the manager of Eddie & The Hot Rods, so we were already in the loop. 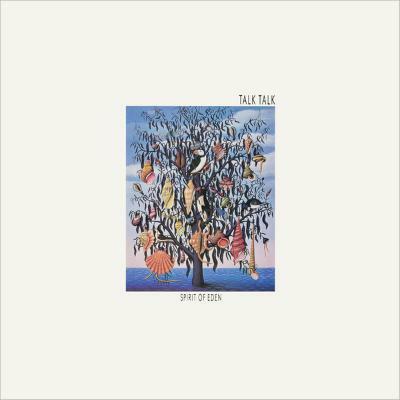 But I didn't really bother with Talk Talk until this record came out and someone said have you heard this? And it just immediately resonated. I thought oh, I like this; I want more of it. Now I find I have to be in the right mood to listen to it; reflective, you might say.